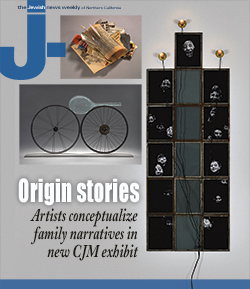 From Generation to Generation: Familial memories become contemporary art in CJM exhibit – J. Perhaps your grandfather shared stories of his life in New York before you were born. These family sagas, filled with a colorful cast of characters, drama and heartbreak, became so vivid in your mind that his memories turned into your memories. It’s as if you were living through the Great Depression, World War II or the Army-McCarthy hearings, as if you were present at Zayde’s bar mitzvah on the Lower East Side and his and Bubbe’s wedding in the rabbi’s study. But of course you didn’t experience any of these things — because all of these personal and historical episodes took place decades before you were born. That’s the force of familial memory. It creates a narrative of your identity and your place in the world, and links you inextricably and powerfully to those who have meant so much: your parents, grandparents and ancestors whose fateful decisions have, to a degree, determined your destiny. And that’s the subject of a new exhibition at San Francisco’s Contemporary Jewish Museum. “From Generation to Generation: Inherited Memory and Art,” co-curated by CJM assistant curator Pierre-François Galpin and independent curator Lily Siegel, focuses on the work of 24 artists, both Jewish and non-Jewish, whose drawings, installations, photography, sculpture and other creative art forms represent outward manifestations of powerful memories they internalized. Take, for example, Eric Finzi, whose family is related to the Italian Jewish Finzi-Contini aristocracy depicted in the groundbreaking Holocaust novel “The Garden of the Finzi-Continis.” Giorgio Bassani’s book, which was turned into a critically acclaimed film, recounts the quiet yet shattering decimation of the Italian Jewish community under the Mussolini-Hitler alliance. As a youngster in New York, Finzi became increasingly interested in his father’s escape from fascist Europe. “I would sit down with him on the couch after dinner, and it was like a slow recovery [of memories],” said Finzi, 59, a plastic surgeon in suburban Washington, D.C., and an artist known for his use of epoxy resin, a potentially toxic substance that he uses to great effect in his multimedia work. 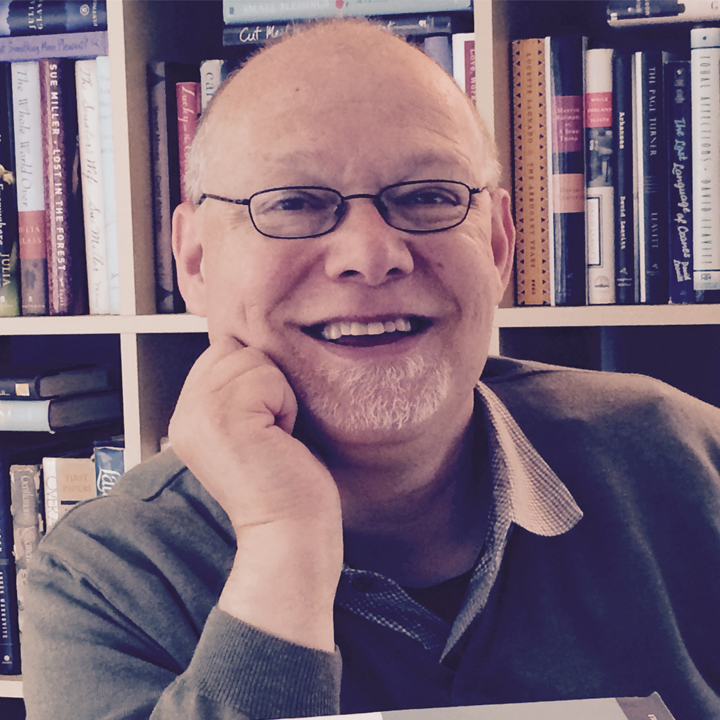 “After my father died,” said Finzi, “I felt a greater calling” to share his story. In the epoxy resin-based “Tennicyle,” Finzi’s piece in the CJM show, the artist merges a glass tennis racket — a representation of the shattering of glass during Kristallnacht — to a rimless bicycle, a reminder both of the carefree conveyance the Finzi-Continis enjoyed before the war and the getaway vehicle his father used to reach the Henry Gibbins. Marianne Hirsch, a professor of English and comparative literature at Columbia University, concurs. Hirsch, born in Romania after World War II to Holocaust survivors, has written widely on what she has coined “postmemory.” It is the notion that stories of sustained trauma can become as real and potent to those who receive firsthand accounts of atrocities as to those who experienced the horrors themselves. When Hirsch was an adolescent, she said, “I could not have been less interested” in family stories. But after reading Toni Morrison’s “Beloved” and Art Spiegelman’s “Maus” as an adult, Hirsch said she connected deeply with the tales of trauma detailed in the books. “I started thinking that my parents’ memories were more jarring to me than my own memories,” she said. That is certainly true for Loli Kantor, 64, a photographer based in Fort Worth, Texas, who has 12 images of current-day Jewish life in small towns in Ukraine in the “Generation to Generation” exhibit. For her, this meant imagining what her family might have been like had they survived the war and stayed behind in Eastern Europe. So, beginning in 2004, Kantor traveled there and made connections in small Jewish communities, where she became friendly with older Jewish survivors and began photographing them. “It was mind-blowing to go to these places and realize that they are living similarly to the way they lived 40, 50, 60 years ago,” Kantor said. El Sobrante resident Lisa Kokin has no direct family memories of the Holocaust, but she does possess what Hirsch describes as “affiliative postmemories,” strong thoughts and feelings associated with traumatic historical episodes. 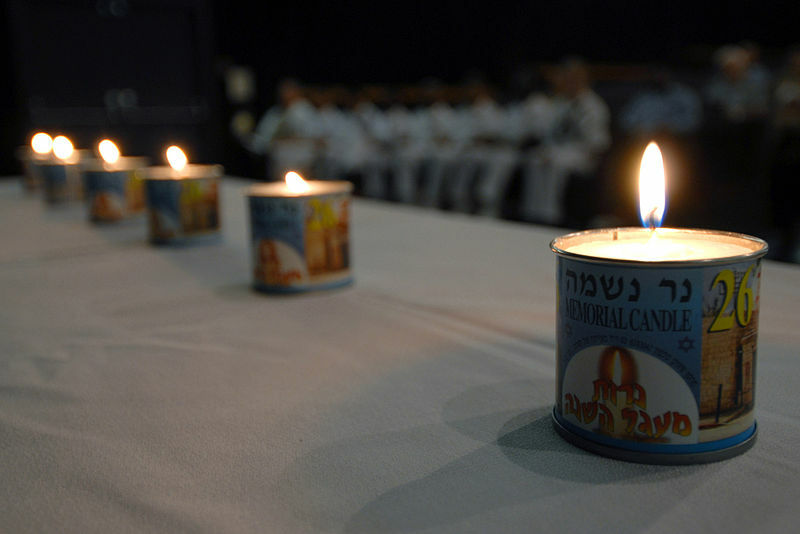 In Kokin’s case, these memories derived from viewing horrific film footage of Holocaust victims while she was a Hebrew school student in Long Island, New York. Kokin, 62, has spent the better part of her artistic career confronting her fears. Her installation in the CJM show, “Inventory,” is composed of more than 1,000 buttons, scraps of cloth, earrings and other found objects that stand for all the small but particular items that made up the lives of those who endured the Shoah. Toronto-based artist Bernice Eisenstein’s work strikes back against amnesia. The author of “I Was a Child of Holocaust Survivors,” a memoir in comic-book format that was later made into an animated film, Eisenstein plays with the notion of memory on many levels. That is certainly true of her pieces in the new exhibit — the multimedia installation “Genizot,” which is surrounded by her gouache and charcoal portraits of European writers and intellectuals of the early 20th century. 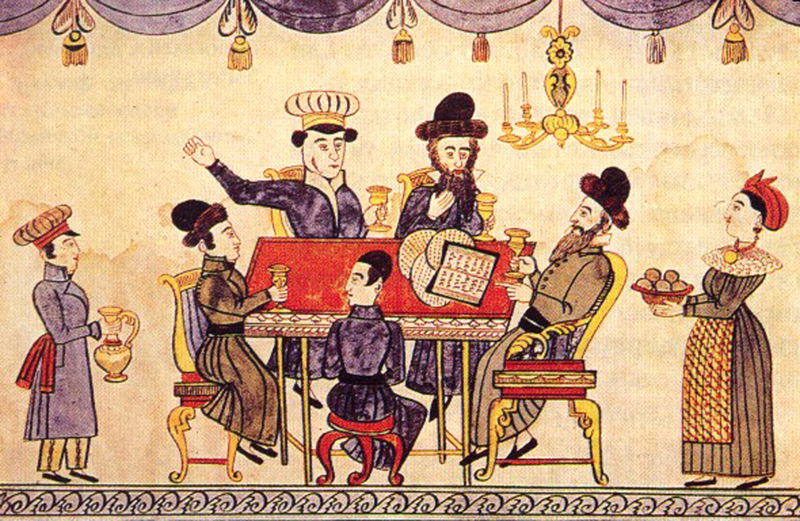 Genizot, the plural of genizah, are repositories for sacred texts that cannot be discarded because they contain the name of God. Eisenstein’s are collaged and folded books, ephemera and drawings on paper — wisps of memories and remembrances. Indeed, a portrait of Marcel Proust, the author of “Remembrance of Things Past,” is part of the installation, as is one of Eisenstein’s mother, a Holocaust survivor who suffered from impaired memory at the end of her life due to Alzheimer’s disease. Appropriately enough, another portrait is of Alois Alzheimer, the German psychiatrist who discovered the condition that bears his name. All of the portraits are calligrams, images fashioned from lines of text. Words have always been important to Eisenstein, perhaps because so much of what transpired during the Holocaust remained unspoken in her home as a child. 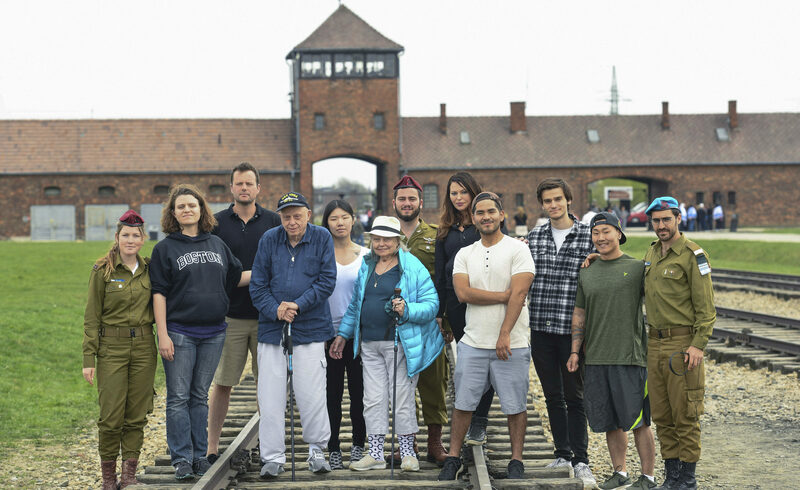 While narratives about the Holocaust figure prominently in “Generation,” other major historical episodes that have left lingering memories — including the Armenian genocide by the Turks, the aftereffects of slavery and racism, and the Vietnam War — are given creative expression in the show. That the CJM is devoting an exhibit to the exploration of intergenerational memory is an important statement about the need to make sense of stories of the past and how they figure prominently in the present and shape the future, said Dr. Michael J. Feldman, a New York-based psychiatrist and psychoanalyst and assistant professor at Columbia University who specializes in transgenerational trauma. But more than that, Feldman said, is something that he and fellow clinicians have known a long time about memory: that efforts to contain its flow are counterproductive. “It’s not possible to shut down memory and feelings without constricting all of them,” he said. A show such as the CJM’s, he suggested, can create an opportunity to fill in those gaps.